Hello fans, it’s been a long time… How are you? If you’ve been keeping up with the All Knightz progress you’ll know that we are now up to 3 titles that are about to move onto their next issues. Night Soul issue 2 is right around the corner, Red Tempo issue 3 is coming up fast, and of course Hard Wired: Revolution is about to hit issue 4, well, hard. We told you we was here for the long haul. Hard Wired, Red Tempo & Night Soul, getting ready to drop. 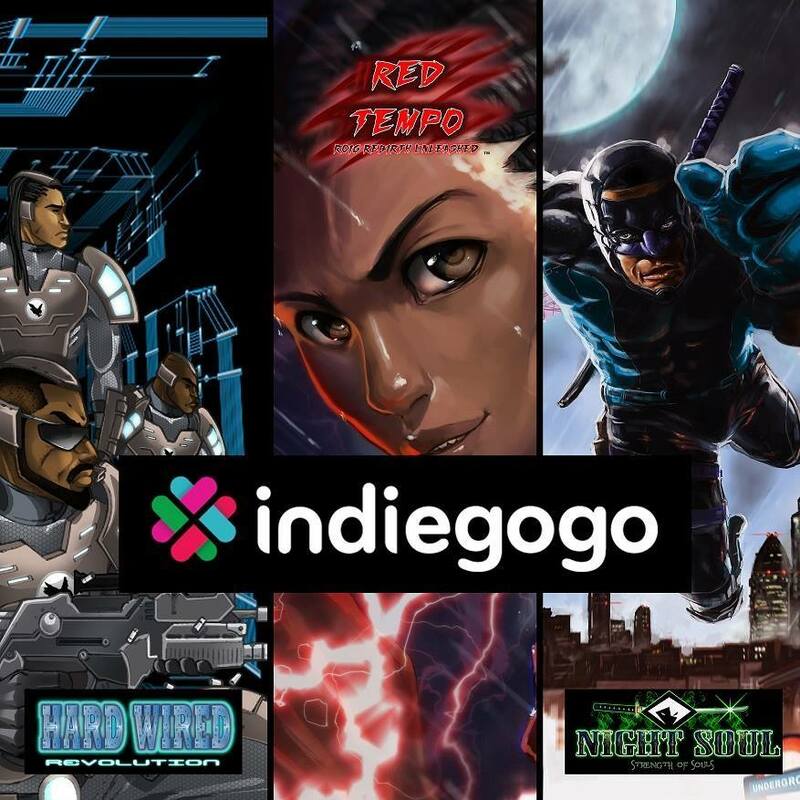 Through following our journey you may also know that we ran a crowd fund campaign last year, world wide through Indiegogo that was a complete success. People contributed in their droves and helped us to reach our target, for which we are eternally grateful. In turn we were able to get those products on shelves and into the hands of our fans. Well winter is coming (Sorry, couldn’t help it), and this time we are gearing up for the next crowd funding campaign that’ll pay for the printing of all the amazing comic books previously mentioned, and of course our awesome posters too. But we’re thinking of you as well. This year we are taking things up a gear with the crowd fund perks, where you’ll be able to get your hands on some really epic swag. Trust me, you’re going to want to get involved. The crowd fund campaign will go live on Sunday, October 25th once again through Indiegogo, so keep your ears to the ground because the All Knightz are coming with that heat again.